The swing check valve is a kind of check valve that is commonly used in water pumping systems. It got its name from the fact that it is composed of a body and a disc that swings or pivots through a hinge pin. The disc serves to prevent the reverse flow or to allow forward flow. Simply put, this valve allows flow in one direction (forward flow) and automatically prevents back flow (reverse flow). 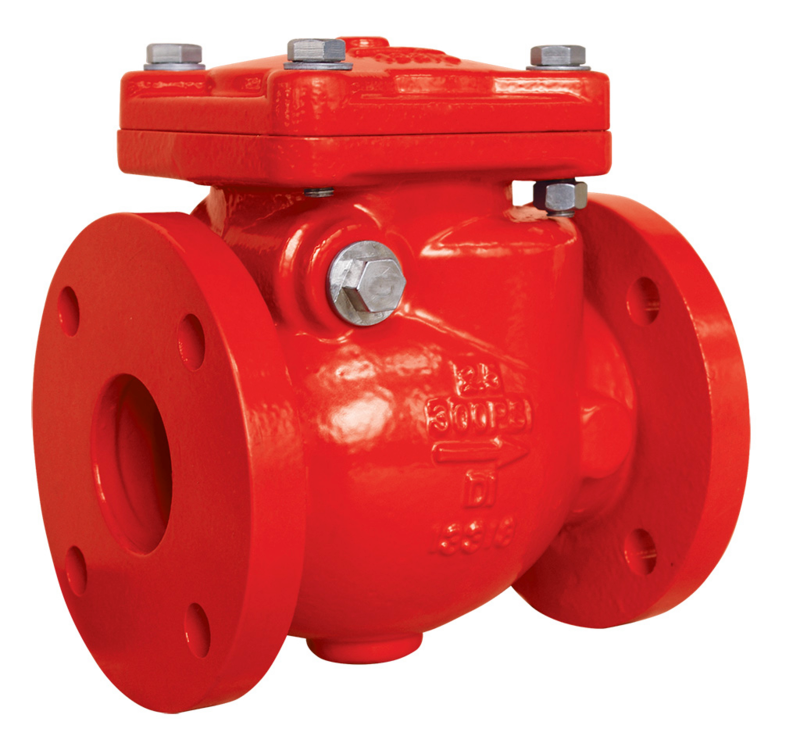 The main function of a swing check valve is to prevent back flow and protect any item or equipment that might be destroyed during a reverse flow. It also prevents hydraulic pressure surges and flooding. This type of valve is quite popular because it is easily accessible and has low maintenance costs when in use. Aside from that, it is self-automated; it does not require assistance to operate. Unlike other valves, it will still work even if there is no electricity, or there is no human to operate the valve. 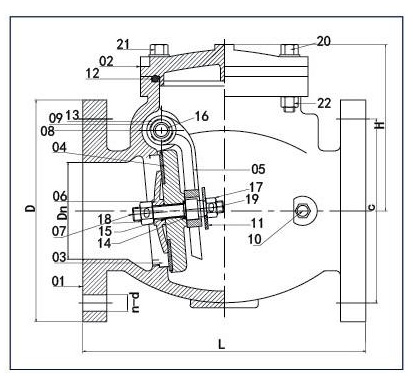 This kind of valve usually operates for systems that make use of a gate valve because of the low pressure. The disc is suspended from the body through the hinge pin. At the point of pivot, the water will flow back into the valve, even before the disc is shut off. In order to completely shut down, the disc must go through a complete 90 degree angle. Efficiency – The swing check valve is designed in such a way to have a smooth and unrestricted water flow, which can provide a significant amount of savings in the long run. Durability – The UL FM swing check valve is made up of Epoxy resin coating inside and out, which makes it durable and can withstand the test of time. Convenience – It is very easy to use because it can also be operated using the hand wheel. 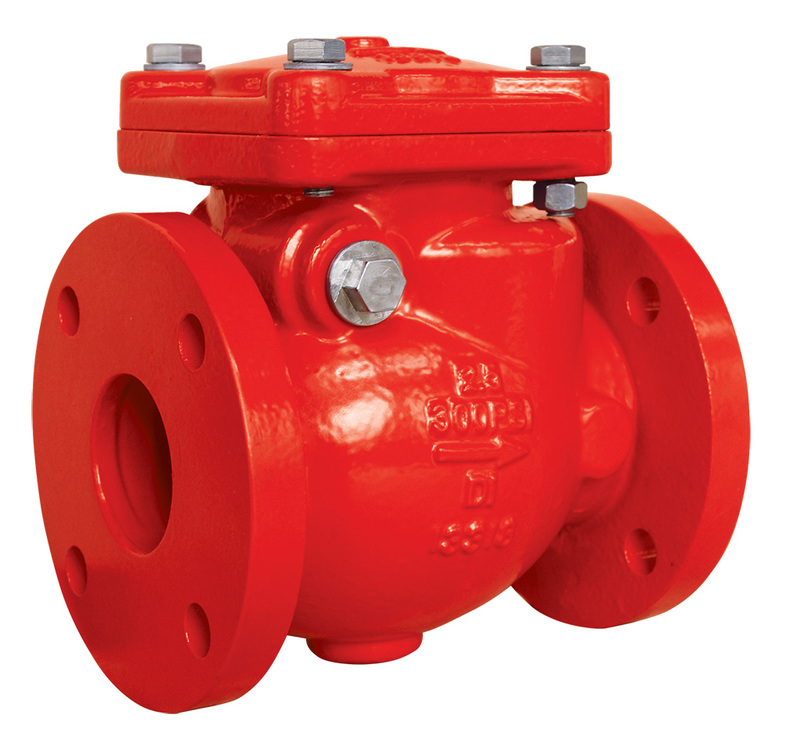 Aside from that, our swing check valve is designed in such a way that it requires minimal maintenance and checkups. 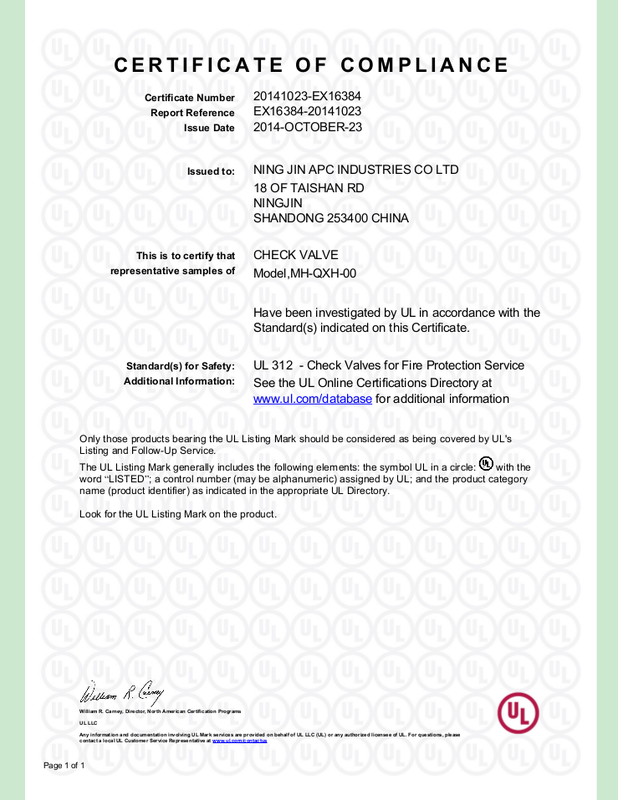 UL and FM certified – Our reputation is something we take seriously, so much that each UL FM swing check valve we offer has to go through a strict quality screening before it is allowed to be sold in the market. Aside from the UL and FM certifications, we also meet the design standards of AWWA C508. With all these features in mind, our UL FM swing check valve should be on top of your list when shopping for check valves.